Daddy Yankee teamed up with Katy Perry and DJ Snow for his latest remix! Daddy Yankee originally dropped the song back in February, but now he’s added Katy and DJ Snow for fire remix. If you missed it, Katy recently hit the stage alongside Zedd for a performance at the 2019 Coachella Music Festival. You can download the remix off of iTunes here – and stream it now! Becky G, Maluma & More Win Big at Latin American Music Awards 2018! Becky G strikes a pose in a fierce sheer ensemble while hitting the red carpet at the 2018 Latin American Music Awards held at the Dolby Theatre on Thursday evening (October 25) in Hollywood, Calif. The 21-year-old singer-actress was joined at the event by Maluma, Becky G, Roselyn Sanchez, Anitta, Pitbull, Ludacris, Daddy Yankee, Manolo Vergara, Emeraude Toubia, Prince Royce, Isabella Gomez, Steve Aoki, CNCO, Lele Pons and Amaury Nolasco. Becky earned the Favorite Urban Song Award for her collaboration with Bad Bunny, “Mayores,” and the award for Favorite Female Singer. Maluma was honored with the Extraordinary Evolution Award, Daddy Yankee won Favorite Male Artist and was honored with a special ICON award, and CNCO took home the awards for Favorite Duo or Group, Favorite Artist — Pop, and Favorite Album — Pop for CNCO. FYI: Maluma is wearing a Dzojchen suit. Emeraude is wearing Nicolas Jebran. Lele is wearing a JOVANI dress. 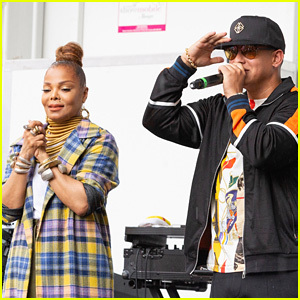 Janet Jackson & Daddy Yankee Attend Harlem Week 2018 Event in NYC! Janet Jackson and Daddy Yankee are visiting Harlem! 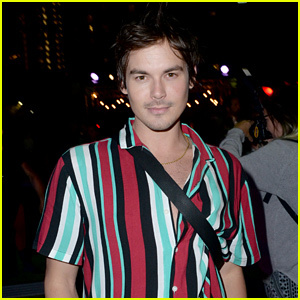 The two celebrated the release of their brand new single “Made For Now” at the 2018 Harlem Week Dancing In The Street event held at the Harlem Stage on Saturday (August 18) in New York City. Janet even took the subway to the event! Harlem Week runs through August 31 with music, dance performances and family events. Janet will return to New York City on September 29, where she’ll be headlining the 2018 Global Citizen Festival in Central Park. Janet Jackson hasn’t appeared on a late night talk show in 14 years, but she’s back and better than ever! 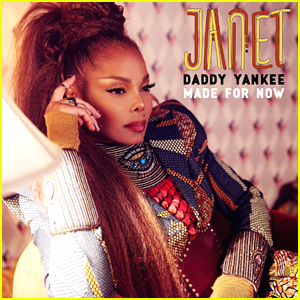 The 52-year-old entertainer performed her new single “Made for Now” with Daddy Yankee during an appearance on The Tonight Show Starring Jimmy Fallon on Friday (August 17) in New York City. Later that night, Janet and Daddy Yankee walked the red carpet together at an event to celebrate their new song. “I’ve always loved Latin music, and obviously, the African music is there and always been an influence. Coming from what Daddy Yankee does in reggaeton, it’s inspiration. It’s reggae music, which brings you back to the African vibe, the whole bit. It was really nice working with him,” Janet told iHeartRadio about her new song. Janet Jackson Drops New Single 'Made for Now' - Watch the Music Video! Janet Jackson has a new song out! 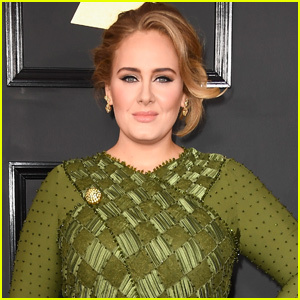 The 52-year-old entertainer just dropped her hot new song “Made for Now” featuring Daddy Yankee. 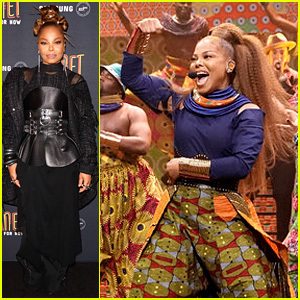 Along with the new song, Janet and Daddy Yankee also released the music video for their new song – where they show all of the culture art that’s all around New York City. If you missed it, Janet will be headlining the 2018 Global Citizen Festival on September 29 in NYC. You can download Janet‘s new song off of iTunes here. Daddy Yankee has been the victim of a robbery. The 41-year-old “Despacito” rapper’s hotel room in Spain was robbed of over $2 million worth of gold chains, diamonds, and other jewelry earlier this week, his reps confirmed. 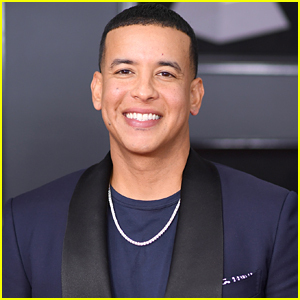 According to reports, Daddy Yankee was not in the hotel when a man allegedly pretending to be him gained accessed to the room and had staff members of the hotel open the safe, stealing the jewelry and around $2,500 in cash. Daddy Yankee is currently on tour in Europe and has not released a statement regarding the situation yet.